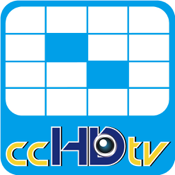 ccHDtv Mobile is a mobile surveillance application which allows users to view the live video with their iPhone or iPad. It provides security in your hand and total solution for mobile surveillance. The mobile application can be easily installed with your iPhone/iPad devices, and can also be quickly integrated with ccHDtv DVR system.